The Dundee United Supporters’ Foundation have told potential investors in the Tangerines that it will be good to talk. 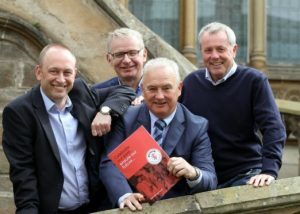 The DUSF, speaking from a new-found position of strength having surpassed the 500 paying members mark, want to be at the heart of a new era of cooperation between United and their fans. Tannadice chairman Mike Martin told the club’s annual meeting at the end of last month that discussions with parties interested in buying out majority shareholder Stephen Thompson were at an advanced stage. There have been rumours of American involvement, with wealthy United supporter Alastair Borthwick, who has already made substantial cash available to the Tangerines, being mentioned as a possible candidate to lead a buyout. The DUSF, who have seen a surge in membership over recent weeks, are keen to hold talks with any interested individual or consortium with a view to fulfilling their long-term goal of using the funds they have raised from members to help secure a brighter future for troubled United. A DUSF spokesperson said: “As we go from strength to strength as a Foundation, we want to play a constructive part in United’s future. “Some people may think United fans have been apathetic as regards the situation at the club but our growing membership tells us that is not the case. “That means reassuring any interested party that we will be positive, constructive partners and will approach any buyout or investment with an open mind.